Comte A. de Ganay; sale F. Muller, Amsterdam, April 24, 1906, lot 52. The sitter was the son of Louis Alexander-Marie, Comte de Toulouse, and Marie-Victoire Sophie de Noailles, widow of the Marquis de Gondrin. 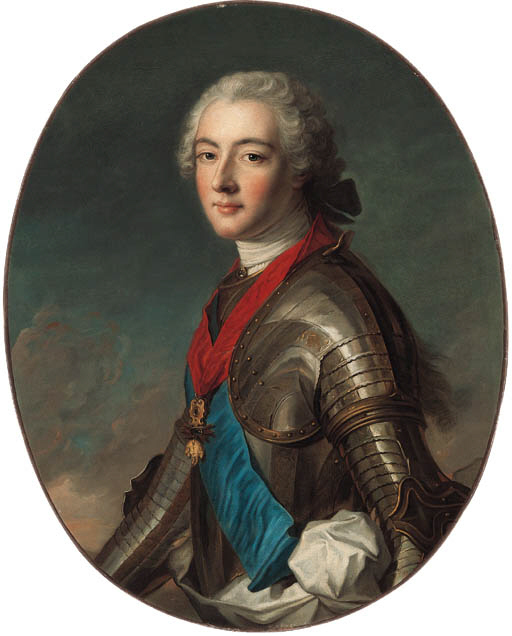 His father was the son of Louis XIV and Mme. de Montespan. Autograph versions of the present composition include another half-length, sold at Christie's, London, April 21, 1989, lot 69 (£100,000); and a bust length version sold at Sotheby's, New York, Jan. 17, 1985, lot 144 ($27,500).